Synopsis – A treasure trove of essays, opinions, poems and short stories by some of the most influential journalists and writers of the India of the 70s. 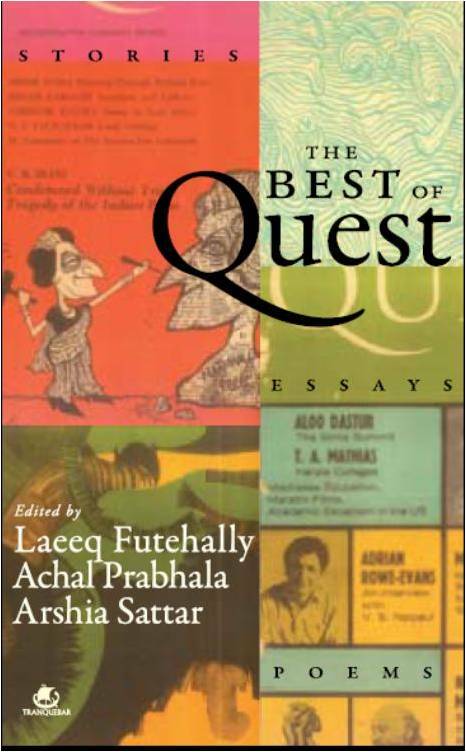 The Best of Quest offers a detailed and varied insight into the lives and times of a nation emerging from the shadows of colonialism and trying to find its identity. UCV says – Bad books had been falling in my lot. But the universe finally conspired to bring me the Best of Quest and I haven’t stopped reveling in the 660 odd pages of sheer brilliance in the last 10 days. 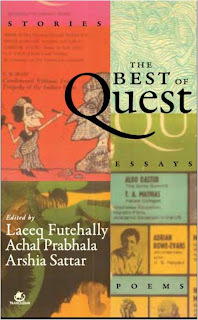 Perhaps these parallels are not apt, but when researching Quest, I was most strongly reminded of Tehelka and Open, the magazine – two extraordinary periodicals of our times. It has everything, from articles on political reform, history, the arts, psychology and education to a most wonderful section of poetry to a fantastic collection of short stories. Not to forget the enigma attached to it because of a mysterious CIA connection! Rating – 4/5 A definite read! First of all, a war, welcome to the blog. You spring that at a fantasy fanatic like me and i will probably die of a seizure. Anyway, jokes apart, the issues mentioned in the review are worth reading about. Somehow i feel, its not as bland as i think it is. Am i going to buy this one?? Hardly. But am i going to read it? Yes, of course. Btw, A great review to start with. thats the second review I read about this book and I am more than tempted to buy it right away !! Yes, I had apprehensions when I first saw this one in some store .. but not now ..